The majority of clinical studies has been based on exhaled-breath analysis, but for the current study, a dedicated eNose-device was used, ‘Aetholab’, that enables headspace analysis of 4 vials simultaneously. For this purpose, 4 electronic noses have been integrated. Data analysis methods in this case are similar to the ones used in exhaled-breath analysis. 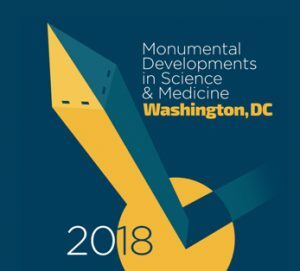 Use this link to view the abstract. Prostate biopsy, an invasive examination, is the gold standard for diagnosing prostate cancer (PCa). There is a need for a novel noninvasive diagnostic tool that achieves a significantly high pretest probability for PCa, reducing unnecessary biopsy numbers. Recent studies have shown that volatile organic compounds (VOCs) in exhaled breath can be used to detect different types of cancers via training of an artificial neural network (ANN). 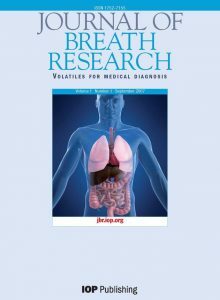 To determine whether exhaled-breath analysis using a handheld electronic nosedevice can be used to discriminate between VOC patterns between PCa patients and healthy individuals. This prospective pilot study was conducted in the outpatient urology clinic of the Maastricht University Medical Center, the Netherlands. Patients with histologically proven PCa were already included before initial biopsy or during follow-up, with no prior treatment for their PCa. Urological patients with negative biopsies in the past year or patients with prostate enlargement (PE) with low or stable serum prostate-specific antigen were used as controls. Exhaled breath was probed from 85 patients: 32 with PCa and 53 controls (30 having negative biopsies and 23 PE). Patient characteristics were statistically analyzed using independent sample ttest and Pearson’s chi-square test. Data analysis was performed by Aethena software after data compression using the TUCKER3 algorithm. ANN models were trained and evaluated using the leave-10%-out cross-validation method. Our trained ANN showed an accuracy of 0.75, with an area under the curve of 0.79 with sensitivity and specificity of 0.84 (95% confidence interval [CI] 0.66–0.94) and 0.70 (95% CI 0.55–0.81) respectively, comparing PCa with control individuals. The negative predictive value was found to be 0.88. The main limitation is the relatively small sample size. Our findings imply that the Aeonose allows us to discriminate between patients with untreated, histologically proven primary PCa and control patients based on exhaled-breath analysis. We explored the possibility of exhaled-breath analysis using an electronic nose, to be used as a noninvasive tool in clinical practice, as a pretest for diagnosing prostate cancer. We found that the electronic nose was able to discriminate between prostate cancer patients and control individuals. Electronic nose technology using the Aeonose™ can play an important role in rapidly excluding lung cancer due to the high negative predictive value for various types of lung cancer. Next step will be to find out if the Aeonose™ can be used for population screening on lung cancer. 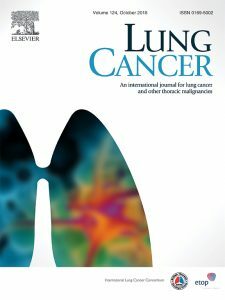 The article ‘Multi-centre prospective study on diagnosing subtypes of lung cancer by exhaled-breath analysis’ is now available online. Using this link, you get 50 days’ free access to the article (until November 28, 2018). No sign up, registration or fees are required. The aim of this pilot study is to investigate the ability of an electronic nose (e-nose) to distinguish malignant gastric histology from healthy controls in exhaled breath. In a period of 3 weeks, all preoperative gastric carcinoma (GC) patients (n = 16) in the Beijing Oncology Hospital were asked to participate in the study. The control group (n = 28) consisted of family members screened by endoscopy and healthy volunteers. The e-nose consists of 3 sensors with which volatile organic compounds in the exhaled air react. Real-time analysis takes place within the e-nose, and binary data are exported and interpreted by an artificial neuronal network. This is a self-learning computational system. The inclusion rate of the study was 100%. Baseline characteristics differed significantly only for age: the average age of the patient group was 57 years and that of the healthy control group 37 years (P value = .000). Weight loss was the only significant different symptom (P value = .040). A total of 16 patients and 28 controls were included; 13 proved to be true positive and 20 proved to be true negative. The receiver operating characteristic curve showed a sensitivity of 81% and a specificity of 71%, with an accuracy of 75%. These results give a positive predictive value of 62% and a negative predictive value of 87%. This pilot study shows that the e-nose has the capability of diagnosing GC based on exhaled air, with promising predictive values for a screening purpose. Hanneke Huiskamp, Maartje Bartelink, ‘Feasibility of an electronic nose for the detection of Inflammatory Bowel Disease’. Tuberculosis (TB) is the world’s deadliest infectious disease, and a top ten cause of death worldwide. Each year, almost 2 million people die from TB. Venezuela is one of the high burden countries with devastating consequences. In Caracas, a medical team (PI: Dr. Jacobus de Waard, mentioned in the NYT-article) is conducting a study for fast TB-screening using an electronic nose (‘Aeonose’) for exhaled-breath analysis. Improved treatment regimes and diagnostics are urgently needed! 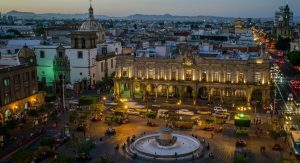 Poli S, Quesada L, Poli F, Di Toro G, Salas E, Oord H, Gerritsen JW, De Waard J, ‘An Electronic Nose as a screening method for pulmonary Tuberculosis’, Union World Conference on Lung Health, Guadalajara (Mexico), October 2017. In recent years, we have developed proprietary technology for disease screening using exhaled-breath analysis. Combining fairly standard electronic components and advanced IT tools, small and robust electronic noses can be produced at low costs. Once developed, a calibration model for a specific disease can be easily transferred to an unlimited number of electronic noses. This enables high-volume applications. Replacing current invasive tools, the electronic nose opens-up new, non-invasive diagnostic opportunities, easing patients’ lives, and supporting physicians in faster, diagnostic decisions.